Mmm... who can resist the yummy goodness of chocolate, marshmallow, and graham crackers? No need to try with this calorie-free, super cute CHARM IT! Smores Charm. 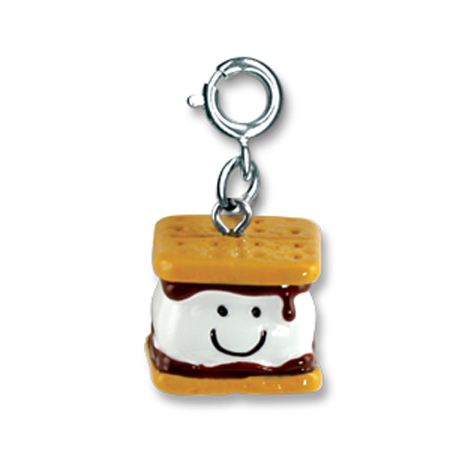 With melting "chocolate" dripping down the sweet marshmallow's face, this adorable Smores charm is 3-dimensional fun and will no doubt delight charm fans of all ages. With a simple snap of a clasp, girls can personalize their CHARM IT! jewelry with this CHARM IT! 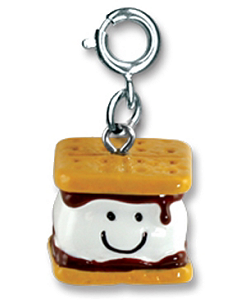 smores charm. This sweet plush smores clip on has a smiling squishy white marshmallow and plush crackers and chocolate.